You may know Esther as the savior of the Jews in biblical times; however, her story began well before her heroic acts. I was first introduced to the story of Esther while babysitting. In this version, Esther was a scared young vegetable who became the queen and saved her sweet pea uncle, as told by VeggieTales. Hardly close to the biblical version, but I got the general idea. Esther was a teenaged girl who was chosen to wed the Persian king. The king had ordered the death of his previous wife because she did not come to a party when he requested, so Esther was, of course, considerably fearful of her marriage and of the king. There is much to Esther’s story, but in short, she faced her fear of the king, brought down his evil advisor Haman with her courage and wit, and saved the Jews from a planned massacre. It is one of the first stories of an empowered, courageous, smart woman fighting an incredible battle with beauty and grace. However, the question posed lies in Esther’s origin story, which started well before she was queen. It was Mordecai who later warned Esther of the genocide that the Jewish people would face at the hands of the king’s right hand, Haman. Esther used this threat to build up the courage to face the king. The king realized that Mordecai, being a man of honor, had once saved his life, and because of this, he held Mordecai in high regard. When she found this out, Esther realized she could reveal herself as a Jew and ask that the king spare her people. 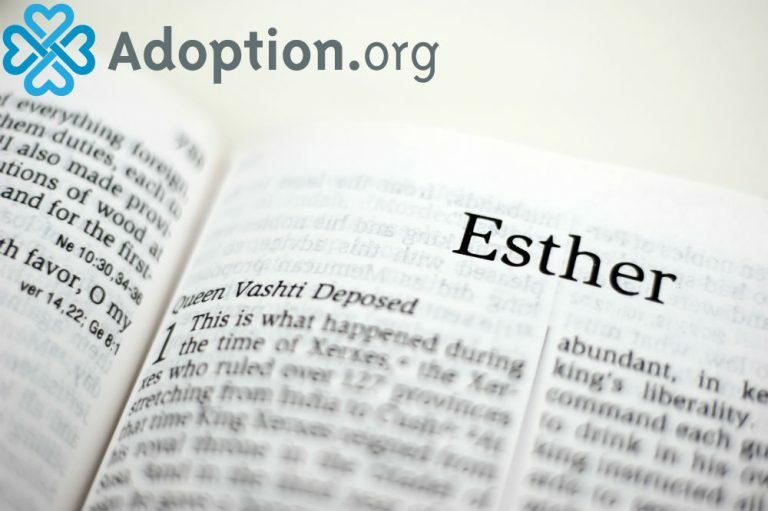 Esther’s adoption and the bond she had with her adoptive father, Mordecai, led to the the rescue of all Jewish people in Persia.